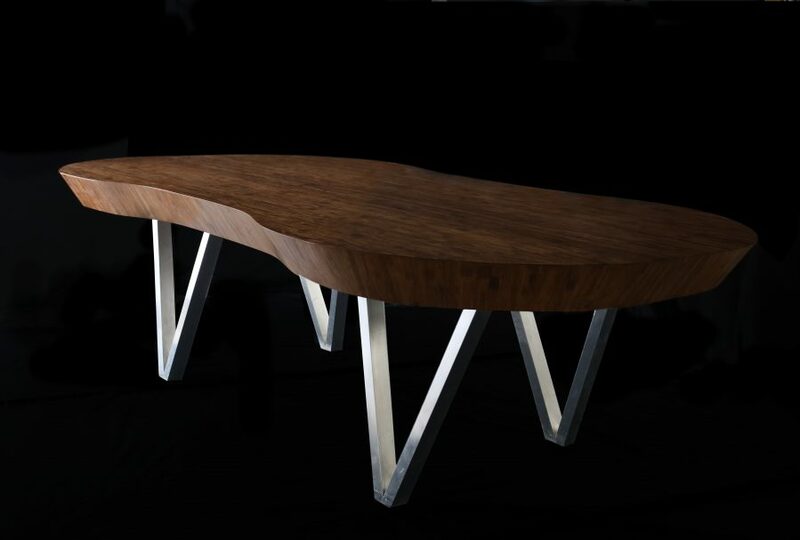 This table works a centre piece for any dining area or meeting room. With enough space to comfortably seat 10 people, it has been designed without any corners and instead flows with curved edges to create inclusivity and engagement from all points. Its thick table top is composed of strandwoven bamboo which has been carbonized to create its rich texture, while its v-shaped pivoted legs are from stainless steel.